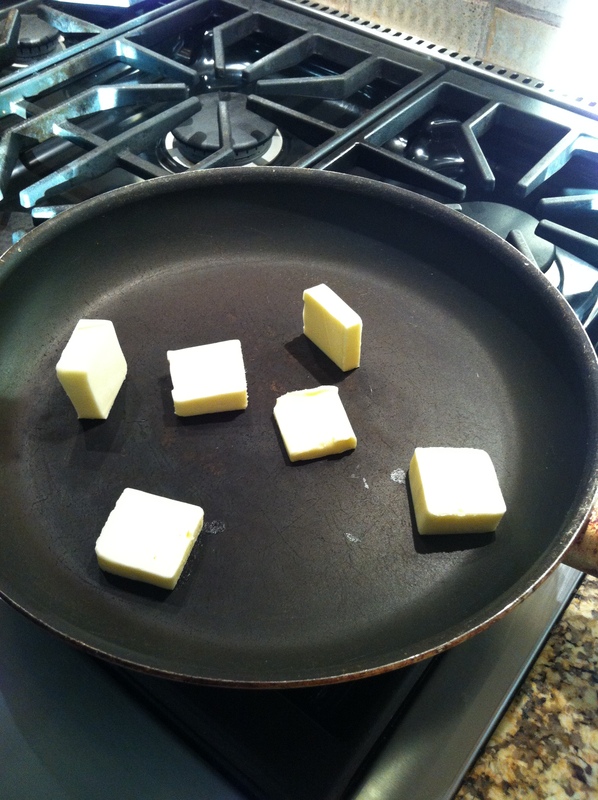 1) Melt butter in a large skillet. 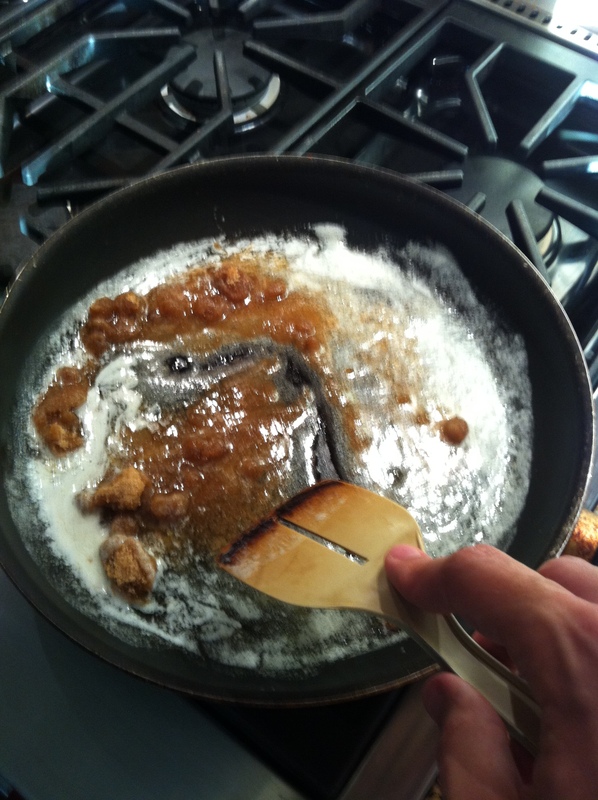 2) Add brown sugar and stir together. 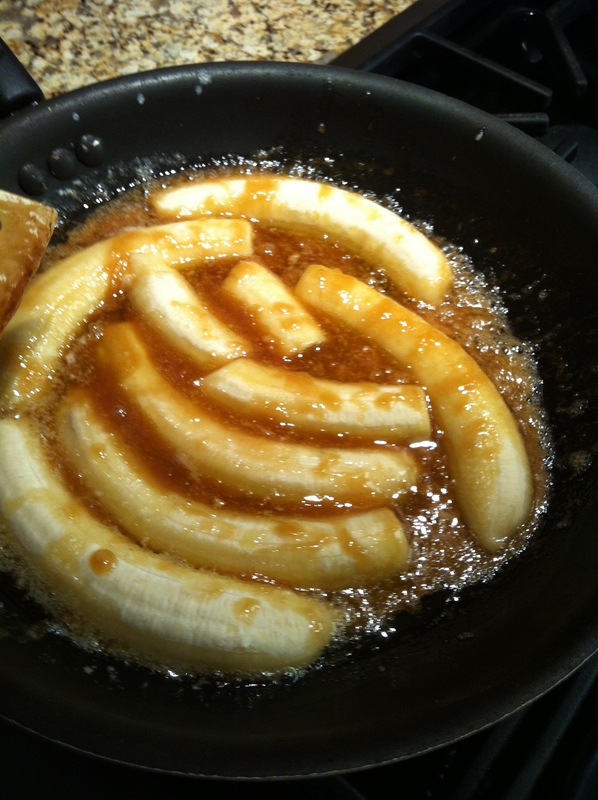 3) Add the bananas and cook until caramelized over medium-high heat. 4) Add the rum and catch a flame off of the gas stove or a BBQ lighter. Caution: stand back when ignited and flambe. Be careful a flame will shoot up above the pan. Let flame die down. 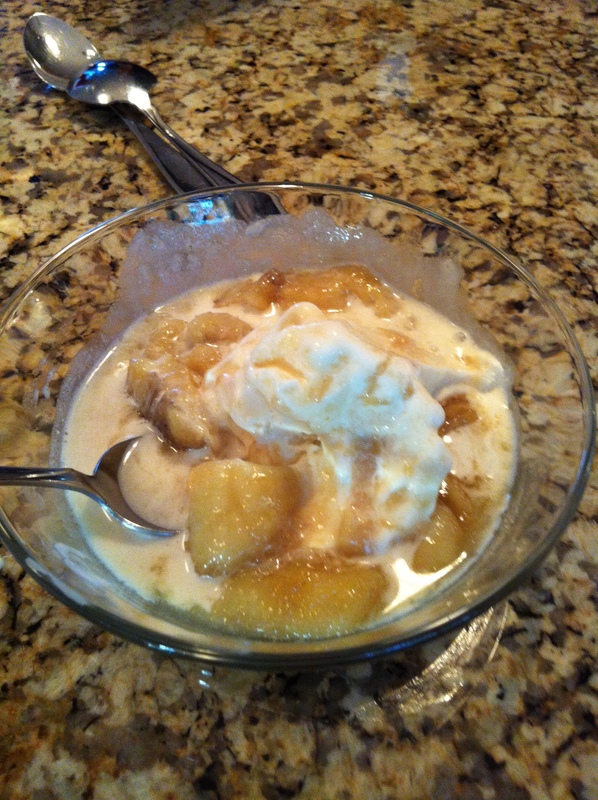 5) Serve over vanilla ice cream and/or a slice of pound cake.